One simple quick fix: breathe. It sounds ridiculously easy, because it is. Your lungs are your body’s tool for regulating the rhythm of everything. Think about it. Your heart, your nerves, your digestion, all depend in some way on how quickly you are breathing, and if you are stressed, these processes can start happening much faster than necessary. When you feel like a speeding train heading for a cliff, just step back from whatever you’re doing, breathe deeply, and count to ten. The rest of your body will follow accordingly. Perfect tip! I struggle with temper issues and a good way to calm down is to breathe and count from 10 to 1. Ensure your breathing is deep- don't pay attention to anyone if they are watching you and think you're odd. Just focus on your deep breaths and the storm will pass. Trust me on this! Hey Grant, I do the same thing when I get mad! If possible, you should just walk away from the bad situation. For example if you get into a little row with the cashier at the supermarket, it's best to just walk away and join another line. Too bad it's not possible all the time! For example you can't just walk away when you're in the car and encounter a jerk on the road----hence deep breathing and counting it is! 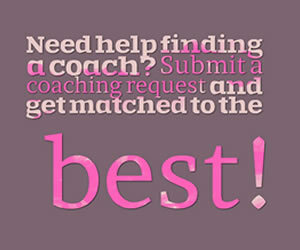 Choose a Top Coach for stress management	success today! 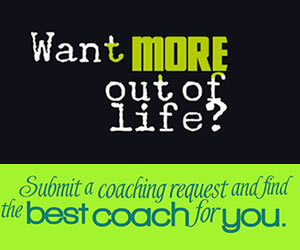 Shay Malone BA, MEd, Certified Life Coach Get unstuck! Overcome emotional roadblocks and move forward, improving your self-confidence. Should You Share Your Problems?